Hurricane Roller Banner The Hurricane Roller Banner allows for convenient and durable display of your business message. 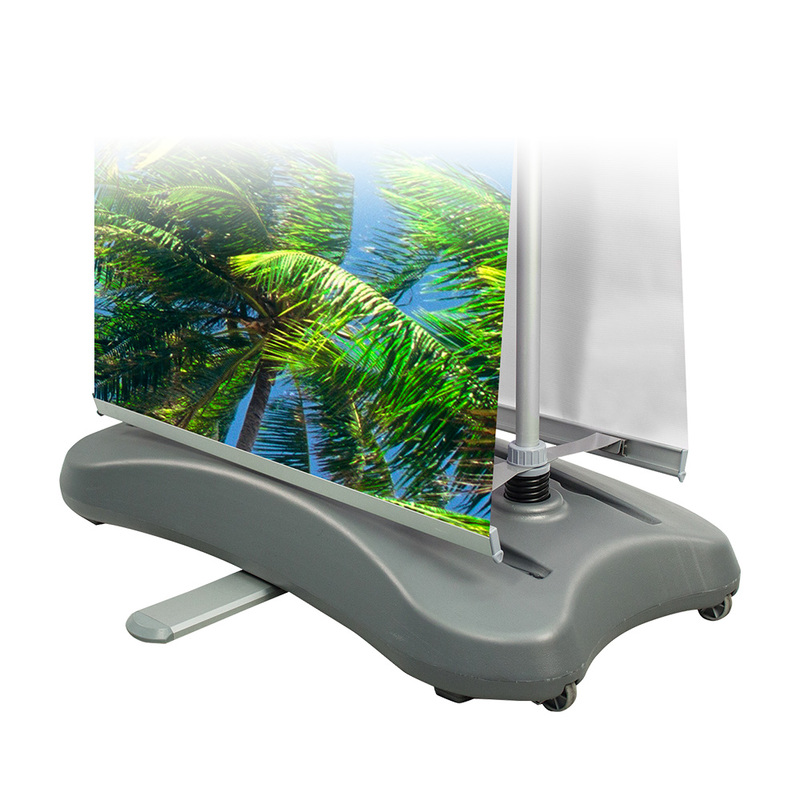 The perfect outdoor unit, the Hurricane Roller Banner is designed for use in winds up to 18mph/29kph. Project Design Print will digitally print your graphic on 440gsm PVC. Showcase your business message or special incentive at virtually any type of outdoor event. This premium roller banner allows for easy banner attachment with its self-adhesive slider rail. Its features two spring-loaded poles designed to cope with extra wind resistance and comes with its carrying case in tow. 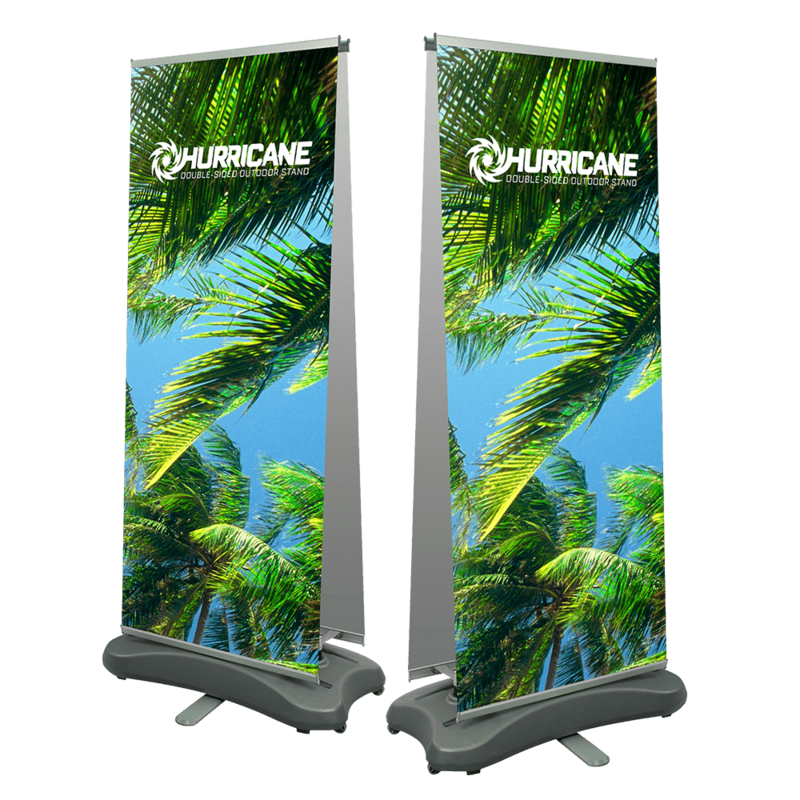 Easy to transport and easier still to set up, the Hurricane Roller Banner is aptly named and ready to face the elements to showcase your message.